New York: Worried that your son or daughter’s sleep more even during final exams week? If so, take heart. According to a study, students who sleep for eight hours are more likely to perform better. “Better sleep helped in final exam performance, which is contrary to most college students’ perceptions that they have to sacrifice either studying or sleeping,” said Dr Michael Scullin, Assistant Professor at Baylor University’s College of Arts & Sciences. For improvement in academic performance, a student does not have to be an ‘A’ grade, the researchers said. “It is worth noting that one student who had a D-plus grade before the final but slept more than eight hours for a week during finals week remarked that it was the ‘first time my brain worked while taking an exam’,” Dr Scullin said. 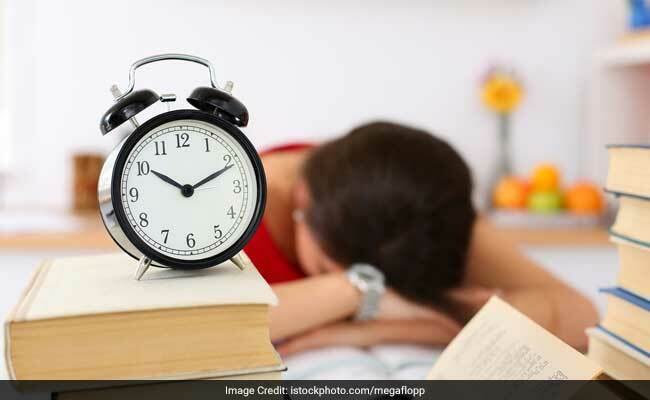 In the study, the students were given extra points if they met “the 8-hour Challenge” — averaging eight hours of sleep for five nights during final exams week. “Students who showed more consistent sleep performed better than those who had less consistent sleep. And students who achieved the challenge performed as well or better than those who did not take the challenge,” the researchers noted.